I didn't know where to start when I received the Flour Cookbook from my lovely neighbor, Lorena. Every recipe and photo looked SO good. Keller + Keller did a beautiful job with the food photography. Plus, I've heard all these great things about Flour Bakery + Cafe from sister (who lives in Boston) and my mom (who got to eat there a few times while visiting my sister). I decided to start with a recipe for which there was no accompanying photo: New Old-Fashioned Coffee Cake. The recipe in the book, as Joanne Chang explains, has been carefully tweaked through Goldilocks-type testing with The Cake Bible's Sour Cream Coffee Cake recipe as its original inspiration. 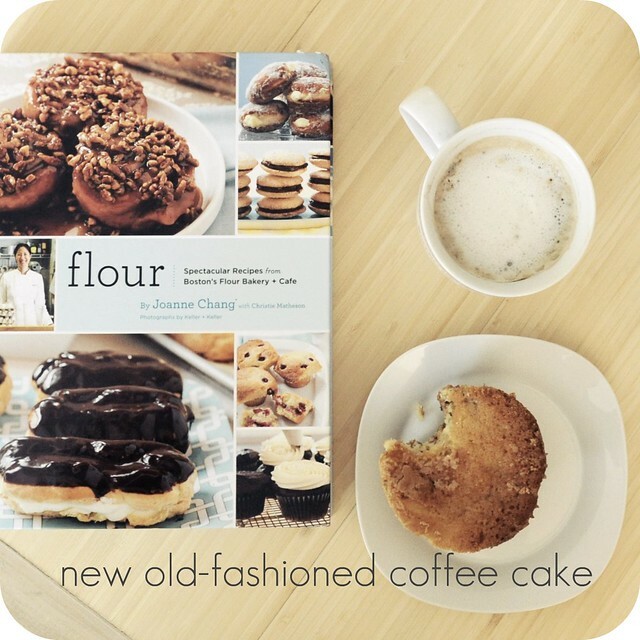 Flour's published coffee cake recipe uses crème fraiche instead of sour cream for an extra smooth and buttery taste. 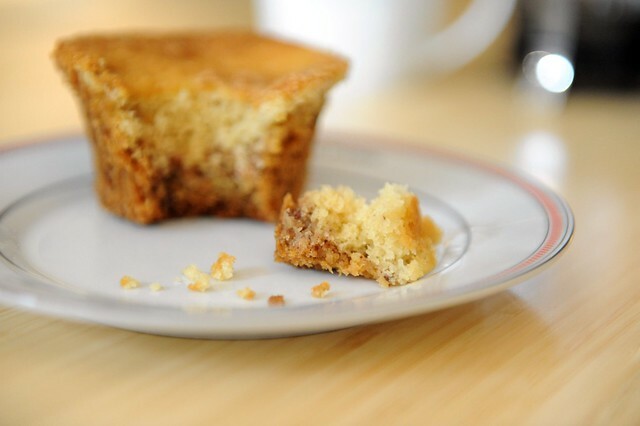 The streusel contains toasted pecans which gives each bite just a subtle crunch. The recipe calls for a 10-inch tube pan --- which I don't have -- so I made muffins instead. I mixed the struesel with some of the batter, as per the directions, to help the struesel from sinking directly to the bottom of the pan during baking. My streusel sunk to the bottom nonetheless. It tasted delicious though, upside down or right side up. 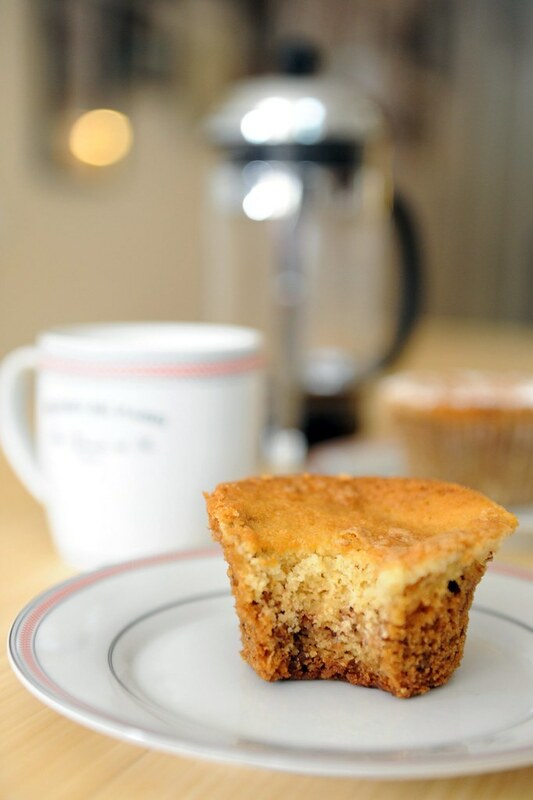 I believe the perfect pairing for this coffee cake-turned-muffin is Peet's Garuda Coffee, French Pressed. Replace your newspaper with a cookbook and you got yourself a Sweet Kiera Breakfast Special. And here's some artful crumb for good measure.